The Communication Workers Union (CWU) is seeking assurances over job security for UK employees as talks begin over the potential takeover of O2 UK, a move that affects hundreds of contact centre staff in Rotherham. Hutchison Whampoa Limited, an investment holding company based in Hong Kong and parent company of UK telecom operator Three UK, announced last week that it has entered into exclusive negotiations with Spain's Telefónica for the potential acquisition of UK subsidiary, O2 UK. The deal could be worth up to £10.25 billion. The CWU is the biggest union for the communications industry in the UK, with 201,900 members, and represents over 3,400 staff working in call centres, support and engineering roles across O2 and the associated Capita workforce. It has worked closely with O2, especially when Telefónica UK (O2) announced that Capita was their preferred bidder to form a ten year, £1.2 billion strategic partnership for customer management services in 2013. As well as Manvers, O2's UK call centres can be found in Leeds, Bury, Preston Brook and Glasgow. O2 has had an operation in Rotherham for over 20 years. In 1992, Ventura signed a customer service contract to support the launch of BTCellnet into the consumer mobile phone market. The contact centre operation in Manvers went live with 40 staff and has grown to a capacity for 2,000 staff. Capita, the UK's leading outsourcing company, purchased Ventura and the Rotherham site in 2011 as part of a £65m deal. It currently operates contracts for British Gas, BMW, William Hill and The Department for Work and Pensions in the Dearne Valley. 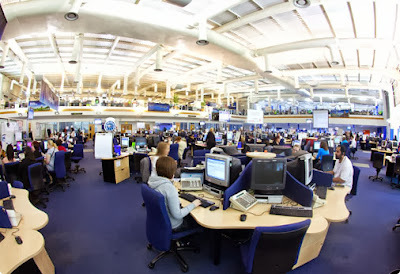 Press reports in 2013 speculated that O2 was planning to outsource thousands of call centre jobs and make hundreds redundant. The union has criticised recent plans to axe over 100 roles providing back-office support and offshore much of the work to India and South Africa. A move it described as "ill-considered, over-hurried and could be viewed as a violation of previous agreements." Andy Kerr, deputy general secretary of the CWU, said: "We hope that any takeover of Telefonica UK will protect UK jobs and maintain service standards for customers. O2 has been through a great deal of operational change in the last two years with the biggest outsourcing deal in the UK when staff and services were outsourced to Capita. "Staff working for both O2 and Capita will be concerned about what these latest ownership talks mean for their jobs and the future of the company. "We will be meeting with the CEO where we will be seeking assurances over the long-term job security of our members in Telefonica UK. We will also be seeking a meeting with Capita to discuss job security for those workers who have recently been outsourced."